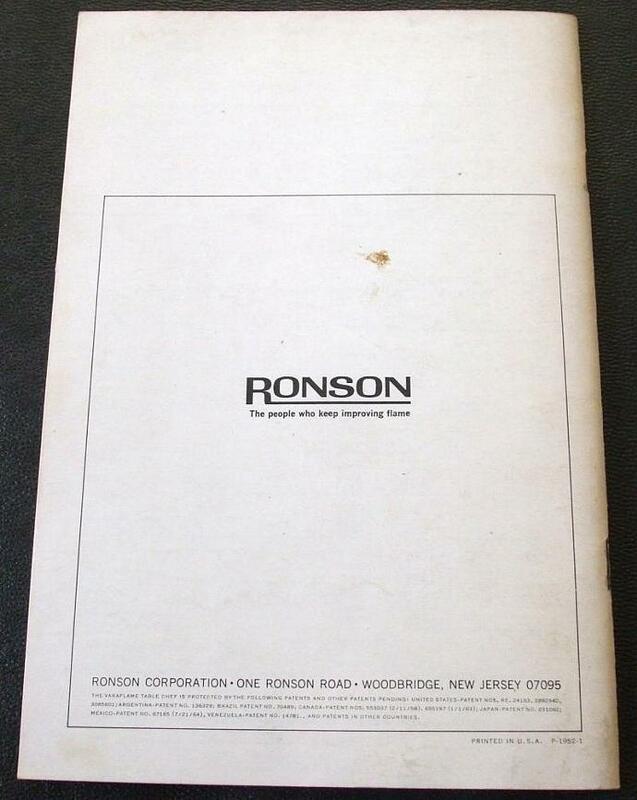 I am offering a Ronson Varaflame Table Chef instruction manual / recipe book. 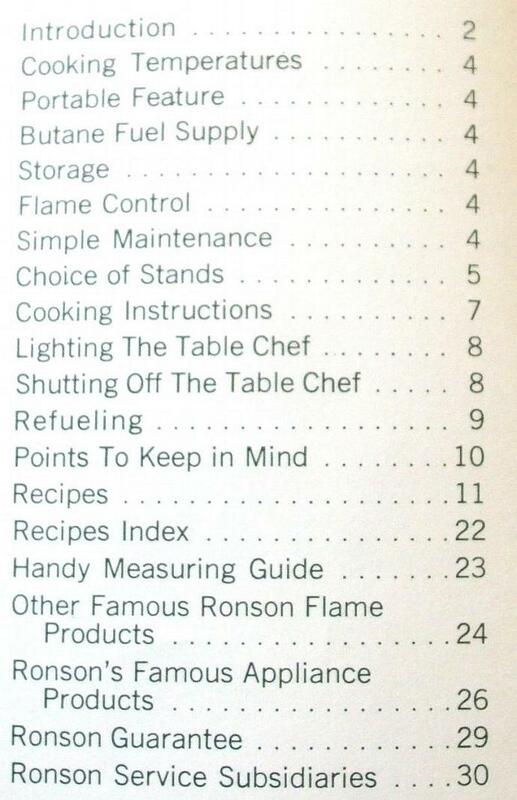 This vintage Ronson Vara Flame Table Chef owner's manual is in good condition, and includes a few pages of Ronson small appliance advertisements in addition to recipes and instructions for the Ronson Varaflame Table Chef. 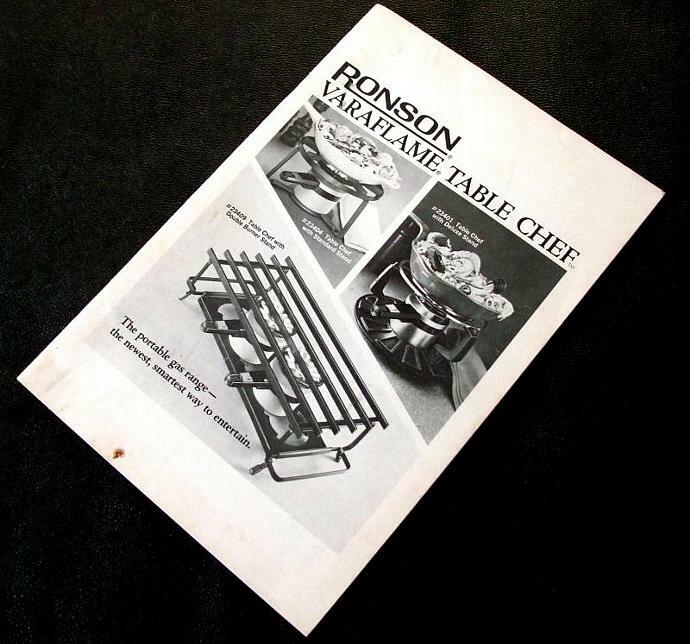 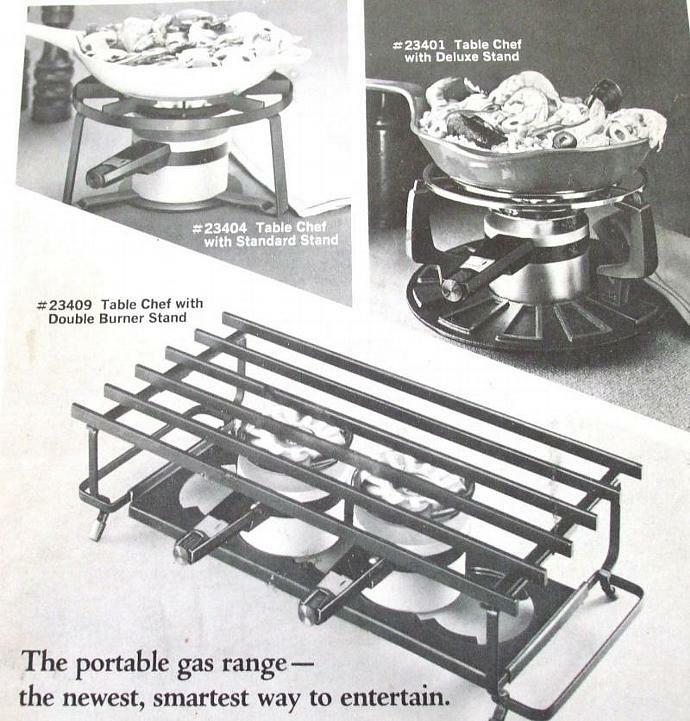 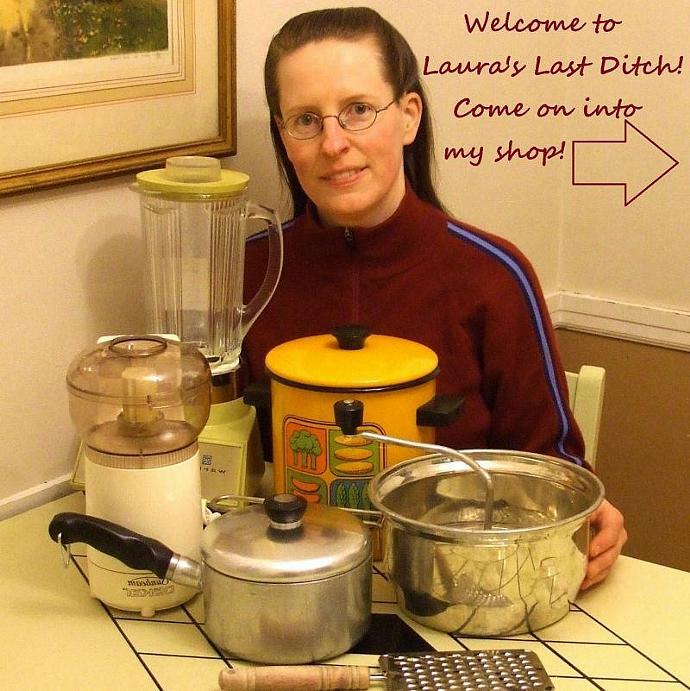 "Add Shop to Favorites" via the link on the right to get first dibs on more hard-to-find vintage kitchenwares from Laura's Last Ditch, then "Add to Cart" to make this vintage Ronson Varaflame Table Chef instruction manual yours.